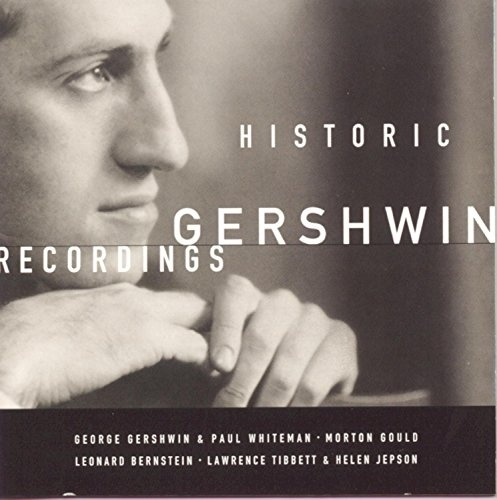 With three recordings of 'Rhapsody in Blue' and two of 'An American in Paris,' HISTORIC GERSHWIN RECORDINGS is hardly a collection to listen to in one sitting. It is, however, quite possibly one of the most important releases of the Gershwin centenary. Two of the 'Rhapsody in Blue' recordings feature Gershwin himself at the piano, and he plays the celesta solo for one of the 'American in Paris' tracks. The 'Porgy and Bess' excerpts are likewise significant, recorded days after the opera's 1935 premiere. That production's stars--Todd Duncan and Anne Brown--were replaced by singers from the Metropolitan Opera (at that time recorded by Victor). Aside from the Bernstein 'American in Paris' and the vintage Boston Pops 'Strike Up the Band,' the remainder of the recordings were made by Morton Gould, tireless champion of American music. Restored from Victor's masters, the early recordings don't stand up to modern ones, but they can't be asked to. These are historic documents--the 1924 'Rhapsody' was recorded before the invention of the electric microphone and abridged to fit on a single 12-inch record. The circumstances of the recordings, the performers, and the quality of the transfers justify this collection. Act 2. Oh. Bess. Oh Where's My Bess?